The governorship candidate of Imo state All Progressives Congress, APC, Senator Hope Uzodinma yesterday said that governor Rochas Okorocha, has concluded plans to destroy the APC in the state. 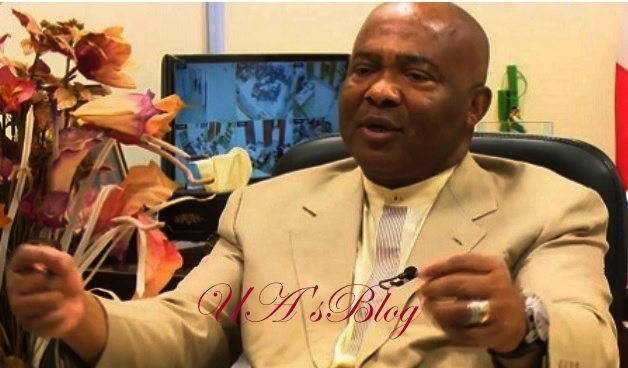 Uzodinma’s Director of Media and Special Duties, Declan Emelumba, in a statement to newsmen in Owerri, reacted to a report that Uzodinma was arrested for an alleged breach of contract. He added that the story of arrest was planted by Okorocha, as one of his attempts to destroy Uzodinma, having lost the APC, governorship ticket to Senator Uzodinma. This is as the publicity Secretary of the Imo state chapter of the All Progressives Congress, APC, Onwusanya FCC Jones, said that by their investigation Uzodinma did not execute the contract for which he was allegedly arrested.